The GUAM Parliamentary Assembly, Baltic Assembly and the representatives of the Parliament of the Republic of Poland adopted the Joint Statement, while participating at the 6th Session of the GUAM Parliamentary Assembly held on 2-3 December 2013 in Tbilisi, Georgia. The Participants expressed their satisfaction that the GUAM Parliamentary Assembly’s well-institutionalised dialogue with international partners, the most developed of which is with the Baltic Assembly, has led to the tradition and practice of cooperation, which is highly valued by all Parties. The Participants shared the view that only the multilateral dialogue that is based on trust and confidence can contribute to better understanding, regional stability, and integration. The Participants welcomed the outcome of the Vilnius Eastern Partnership Summit and initialling by Georgia and Moldova the Association Agreement with European Union, including DCFTAs, and noted the importance of the GUAM Ministers of Foreign Affairs Communiqué, confirming their European aspirations and their respective expectations. 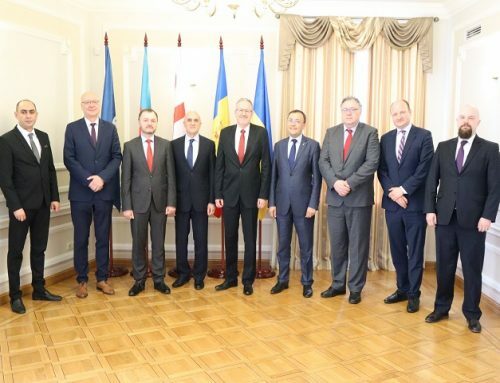 The Participants also welcomed the anticipated concluding by Ukraine, Georgia and Moldova of the Association Agreements with the EU, including the DCFTAs. The Participants recognised the new reality that has emerged after Vilnius Eastern Partnership Summit. They underlined the significance of the Eastern Partnership initiative, which offers concrete perspectives for EU rapprochement and integration of the GUAM member states according to their national foreign political priorities. The Participants reaffirm the particular role of the Partnership to support those who seek an ever closer relationship with the EU. In this light, they support the necessity to ensure adequate application of the basic principles of the EaP, such as differentiation, individual and “more-for-more” approach in the process of implementation of the EaP objectives. 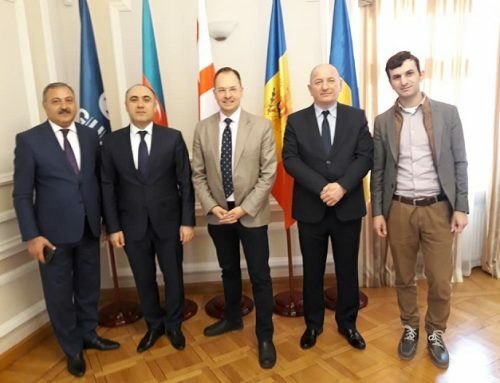 In this light, the Participants attract the attention of all players to GUAM’s developed institutional and organisational infrastructure, as well as the technical and technological setup of its Secretariat in Kyiv, Ukraine. As GUAM member states reconfirm their EU aspirations and offer GUAM’s capacity for furthering EU-GUAM cooperation, the Participants share the view that in the new reality, such model of cooperation may serve the promotion of European values and standards of cooperation beyond existing EU borders, based on mutual interests. This multilateral format of cooperation may be particularly useful, inter alia, in implementing the DCFTA, the visa liberalisation, in strengthening democratic institutions throughout the GUAM region, in cross-border cooperation, and in combating organised crime in all its manifestations. The Participants emphasised the sovereign right of any state to choose and follow its foreign policy goals. They stressed once again the unacceptability of any kind of pressure on the countries for the purpose of making them change their choices and in this regard, condemned the external pressure exerted on GUAM member states. 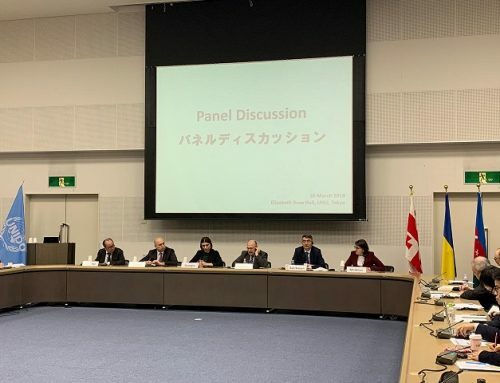 The Participants expressed their deep concern that the conflicts in the territories of the GUAM member states remain unresolved and that they undermine the peace, security and cooperation at both the regional and European levels. 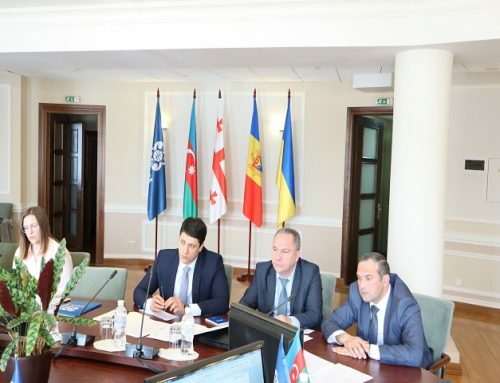 They reaffirmed their respect for the sovereignty and territorial integrity of GUAM member states and their sustained efforts to achieve the peaceful settlement of conflicts in Azerbaijan, Georgia and Moldova on the basis of norms and principles of international law, especially principles of the sovereignty and territorial integrity, as well as the inviolability of states’ internationally recognised borders. In this light, the Participants condemned any illegal foreign military presence on the territories of the Republic of Azerbaijan, Georgia and the Republic of Moldova. The Participants outlined with regret that, recently, acts and attempts encouraging aggressive separatism and legitimization of occupation have become more frequent (illegal visits of officials to the conflict regions and occupied territories; visits of separatist leaders to certain capitals; illegal economic and other activities in the conflict regions and occupied territories; illegal setting of artificial barriers/barbwire fences along the occupation line in the Tskhinvali and Abkhazia regions of Georgia) and called upon the respective parties to stop actions that are incompatible with international law and undertaken obligations. 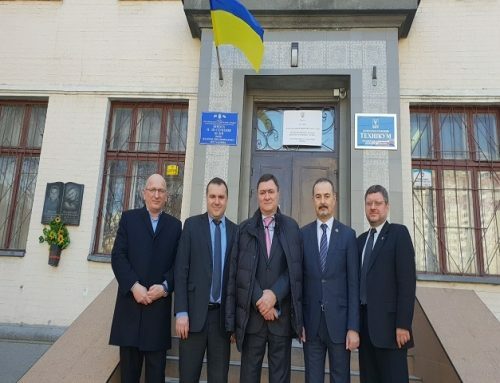 The Participants confirmed their support for the goals and principles enshrined in the joint Documents of the Baltic Assembly and GUAM Parliamentary Assembly that have been adopted to date. The Participants expressed sincere gratitude to the Georgian hosts for the traditional hospitality extended and excellent organisation of this meeting. Completed on December 3, 2013 in Tbilisi, Georgia.